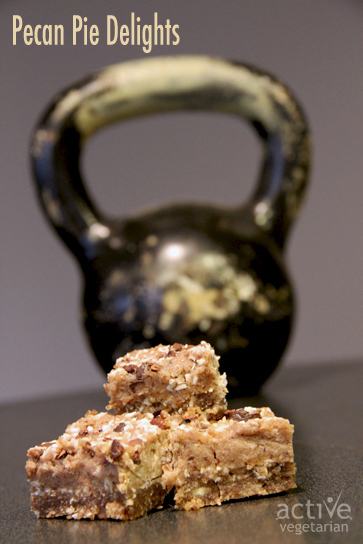 These bars are great for anyone with a busy lifestyle, and especially athletes. They are packed full of energizing raw foods that will help you either fuel for a workout or recover from one. Lets break it down on the benefits of including raw foods such as dates and nuts into your lifestyle as a plant based athlete. Nuts are not only high in protein but also healthy fats, meaning they are the perfect combination to give you energy and build muscle mass. Consuming several servings of nuts can give you an extra 30-35 grams of protein per day, which will aid in muscle recovery and growth. But be careful – it is quite easy to over consume on nuts! 😛 Nuts also provide a great source of energy for your workouts. This is because of the healthy fats – your body will use it as energy during your workouts. If you are not consuming enough healthy fats, your body will use extra protein as an energy source. This is bad! Why? Because you want your protein intake to fuel your muscle growth, not take away from it. If your protein is being used as an energy source, your muscles will not be fed enough amino acids and protein resulting in no muscle gain. Yummy, did you know… Dates are rich in Vitamin A1, B1, B2, B3, B5, C and more than 20 different amino acids?! They are also a great source of iron, potassium, magnesium, sulphur, copper, calcium and phosphorus. Dates help digest and assimilate carbohydrates easier and control blood sugar levels and fatty acid content in our bodies. Another great benefit, the selenium in dates lowers the risk of cancer and heart diseases, as well as helps us keep our immune systems healthy. Using a food processor blend all pie filling ingredients until smooth and set aside. Use the same (unwashed) food processor bowl and combine the crust ingredients together until a dough like consistency is formed, (with no chunks of nuts). Grease an 8 x 8 pan or glass dish with coconut oil. Press crust mixture evenly into the baking dish. Top with pie filling using a spatula or spoon, make sure the filling is evenly spread. Top with ground coconut and cocoa nibs. Freeze overnight. When ready to serve remove from freezer, cut and serve immediately. IF and I say IF there are any remaining – store them in the freezer.